Author and Odyssey graduate Alex Hughes will be a guest lecturer at this summer’s Odyssey Writing Workshop. Alex was born in Savannah, GA, and moved to the south Atlanta area when she was eight years old. Shortly thereafter, her grandfather handed her a copy of Anne McCaffrey’s Dragonrider series, and a lifelong obsession with scifi was born. Alex is a 2011 graduate of the prestigious Odyssey Writing Workshop, a Semi-Finalist in the 2011 Amazon Breakthrough Novel Awards, and a member of the Science Fiction Writers of America and the International Thriller Writers. 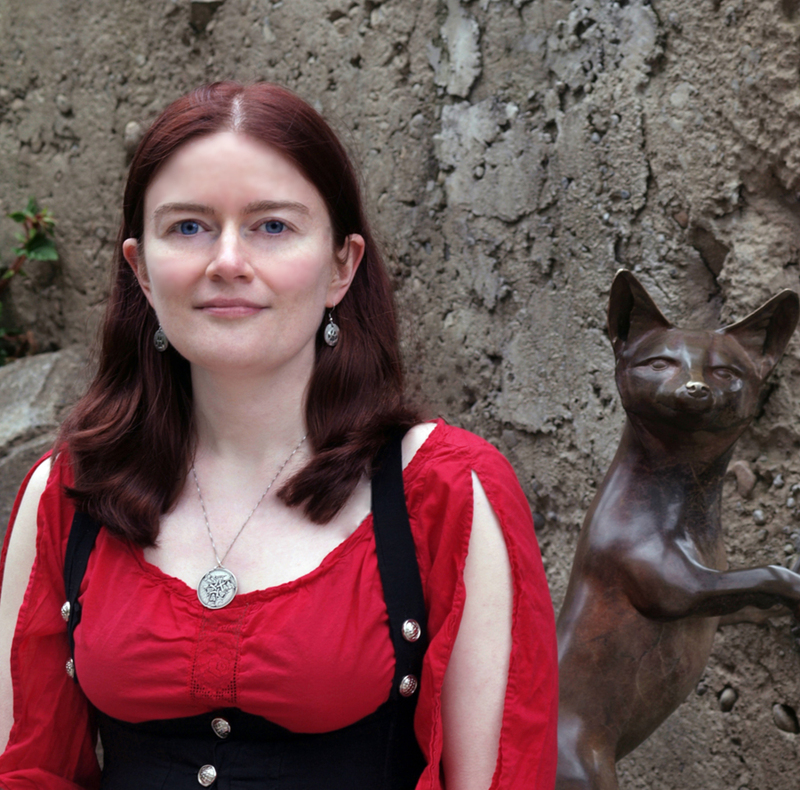 Her short pieces are published in several markets including EveryDay Fiction and Monster Corral. Clean was a Finalist in the Silver Falchion Award 2013. Alex’s work is layered, dark, adventurous, and a little funny, with an emphasis on great characters and interesting worlds. She gets her inspiration from history (she majored with a European history focus in college), family members, and headlines, as well as whatever book she has in her hand. Lately she’s been reading neuroscience books; the brain’s a cool, cool place and the mind even more so. An avid cook and foodie, Alex loves great food of any stripe–even better if she can figure out how to put it together. Great food is like a great book; it has lots of layers that work together beautifully, and the result is delicious and harmonious. She’s working on figuring out Thai curries right now–suggestions welcome! Congratulations on your recent release of Vacant (Mindspace Investigations, #4, released December 2014 from Roc). We’re excited to have you as a guest lecturer this summer, wherein you’ll be lecturing, workshopping, and meeting individually with students. What do you think is the most important advice you can give to developing writers?